Sales & Marketing for Professional Services & Sales TipsHow to Build Your Brand Influence	Quick Tips Videos & Strategic Issues & StrategyAre you just swimming in circles, or do you have a strategy? 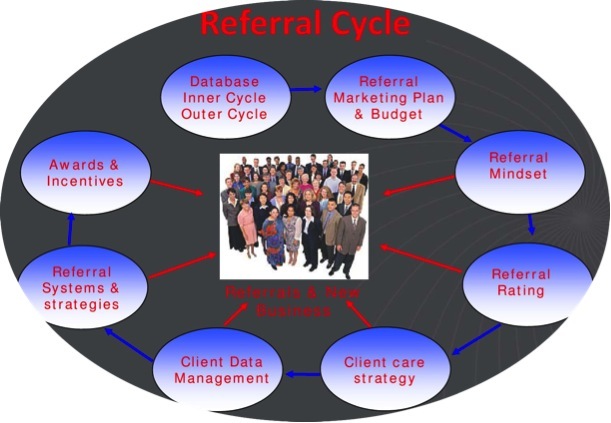 Building a successful advisory business requires building a successful referral system. In the absence of a strong system referrals will simply be received on an ad hoc basis, drifting in whenever a particular customer is especially motivated to do so, or when an adviser remembers to try and obtain one. 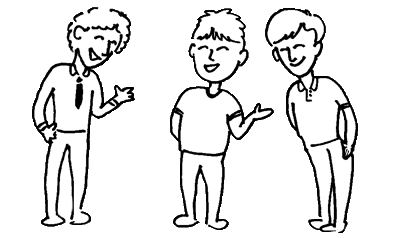 A system, supported by the right culture, is what generates continuous referrals however. Given that word-of-mouth marketing is the best there is, with 90% of consumers trusting peer recommendations as opposed to only 14% trusting advertising, building a referral system might just be the single biggest thing a successful business does. Systems are what prolonged success are built upon, so you may as well build a system for the most effective marketing tactic there is to make it reliable. You will have a plan – and allocate the resources required to achieve the plans objectives – to begin with. You need to build the awareness and mindset within your own business, and with your target market, that referrals are your preferred method of taking on new clients. You need to recognise that all referred leads are not equal in value, so a system of rating clients and leads is essential in order to ensure that appropriate levels of recognition, rewards and service are given to new clients and referees alike. A system that produces constant referrals will only be a sustainable system when it is supported by good ongoing client service strategies. All of this is managed within a database, or CRM system. Understanding the links and relationships between clients is an essential part of building the mindset and ongoing success of your referral generation efforts. You need to build well constructed techniques, reminders, and methodology for conducting referral conversations and referred lead generation. You need to decide on what is an appropriate reward or incentive component for your culture, business philosophy and positioning. It is worth highlighting that you do not necessarily actually need to reward people for referrals, but you do need to be very clear in your policy and position on it. It needs to be a deliberate decision. The final element is really about using your database to make things as smooth and systematic as possible. Internally, managing the workflow and staying on top of key changes are important. But the business intelligence that a well used and constructed CRM system can provide to support a referral marketing strategy is significant. Using it to ensure constant, consistent and smooth communications with your key people is critical to maintaining a multitude of high value relationships. To build a referral business that keeps you busy with well qualified prospects, you need to build a success system rather than leave it to chance.